Support us from your saddle in 2019! Cycle St Giles is back and it’s bigger and better than ever! To date, our super cyclists have raised over £160,000 in support of people living with a potentially incurable illness in your local community. We need you to help us raise as you ride through the Staffordshire countryside at one or both of our Cycle St Giles events. Challenge yourself, raise vital funds and enjoy a great day out! Two route options, 25 miles or 63 miles, both starting and finishing at Chasewater Country Park in Burntwood. Three route options, 27 miles, 40 miles or 75 miles each starting and finishing at our Whittington hospice. 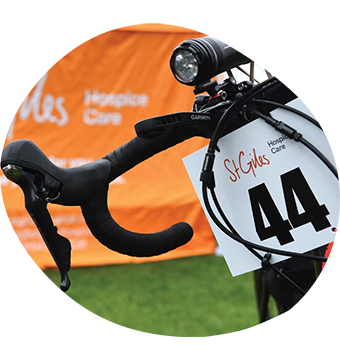 Take on the ultimate challenge and ride in both the Spring and Autumn events to become a Cycle St Giles Champion. “Dad went into the hospice and once his pain was under control he rallied and I’d often come in to find him enjoying a Chinese and a beer. But when the nurses asked him where he would like to be when he died, he wanted to go home. 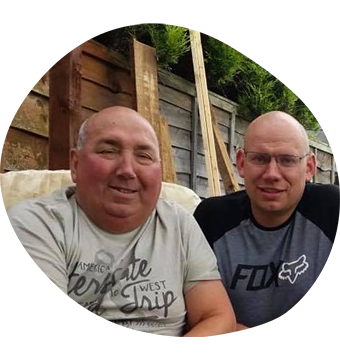 Steve Godwin was so inspired by the support St Giles gave to his dad that last year he did all three routes of the Whittington Cycle Ride on the same day. This year Steve will be supporting St Giles in memory of his dad Maurice, known as Reece, who died at home in September, with one of Steve’s cycle ride medals hanging from his bed.